YOGA THERAPY SESSIONS: this certification is from IAYT (The International Association of Yoga Therapists). It is not associated with the Yoga Alliance Certification. PAIN IN ANY PART OF THE BODY WILL BE ADDRESSED, AN INITIAL CONSULTATION WILL BE DONE VIA PHONE CALL AT NO CHARGE. IF CLIENT IS INTERESTED IN PURSUING YOGA THERAPY TECHNIQUES A FIRST INTAKE AND ASSESSMENT APPONTMENT WILL BE MADE. FIRST APPOINTMENT IS AN INITIAL ASSESSMENT AND WILL BE APPROXIMATELY 45 MINUTES TO ONE HOUR AND WILL BE $35.00. ADDITIONAL APPTS. WILL BE APPROX. 1 TO 1.5 HOURS AND PAYMENT WILL BE $75.00 and DUE AFTER EACH SESSION. After initial appointment then each appointment will last approximately 1 to 1.5 hours. Appointments will vary with individual clients and will depend on the severity of the injury. Discount available if purchase of a six pack and paid in full at time of first session. Six classes- $375.00 (this means that the last session is free). Please email bdawson@yoga-cise.com or call 267-718-6444 for details. Yoga Therapy Certification - 1,000 of additional yoga therapy training. 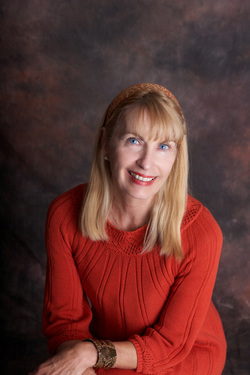 *My Yoga Therapy hours are not affiliated with Yoga Alliance hours but a separate lcertification.